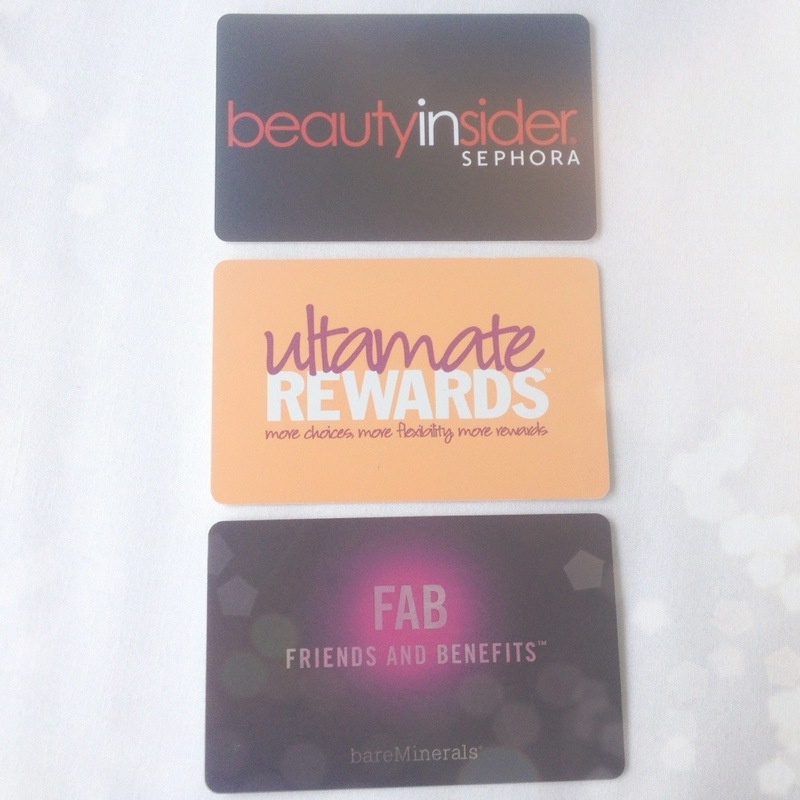 A Shopaholic’s Guide to Beauty Reward Cards! I noticed that I haven’t posted in awhile (silly me). I was reorganizing my wallet and came across my rewards cards. I’ve collected a generous amount of them over the years. Personally I LOVE rewards/membership cards! As an avid shopaholic and a typical money conscious teenager I found that these cards allow me to purchase things, while staying within budget. By no means am I a shopping expert, I am going to share with y’all this technique I use that works for me. Let’s get started! Today I am only going to focus on the beauty cards I have. If y’all would like to see my other cards (food) please leave me a comment letting me know! I shop here when I am looking for specific, higher end makeup. Spend a dollar, earn a point. The more you shop, the better the rewards. Once you get 350 points (within a year) you will become a VIB- Very Important Buyer. This will allow you to get even better deals and rewards! Emails about coupons and promotions! I shop here when I need to run in and pick up something either drugstore or high-end! Members will earn 1 point per $1 on anything at the stores and online. Members will also receive occasional BONUS POINT coupons throughout the year, which will be located on the ULTA mailers. Additionally, your points will be good for a FULL YEAR. You may also redeem points for various salon services ranging from haircuts and highlights to facials and OPI Gel nail services. I usually only shop here twice a year, once in the summer and once in the winter. Free Makeover on your birthday. Personal Sale Day to get 15% off anything. Spend $150, get $10 off a future purchase. You’re always on “the list” and will be invited to top-secret events near you. Personally, I feel like ULTA gives the best rewards. What do you think? Do you have any of these reward cards? Ulta also has 20% off a salon appt of any kind for new members, all points spent during your birthday month are either tripled or doubled, and is just plain AWESOME. YES! Ah I totally forgot about that. ULTA is just plain amazing.